Who Do Our Clients Tender To? Commonwealth Government: Defence, Veterans Affairs, Immigration and Border Protection, Education, Infrastructure and Transport, ATO, Building and Construction Commission, Specialist Disability Services, Industry, Justice, NDIS. State Government: NSW Premier & Cabinet, Transport for NSW, NSW Treasury, NSW Land & Housing, NSW Families and Communities, NSW Health, Victoria Health, Ambulance Victoria, NSW SES, Victoria School Building Authority, icare, Safework NSW, NSW Department of Education, NSW Police, NSW Department of Justice, NSW Department of Industry, NSW Tourist Commission. Local government: City of Sydney, Randwick, Canada Bay, Lane Cove, Strathfield, Launceston, Melton, Fairfield, Auckland. Listed companies: Rio Tinto, IAL, Qantas, Woolworths, Westpac, CommBank, BHP, Metcash, Thomson Reuters. Corporates: Aurecon, PwC, Newland Chase, Allens Linklaters, Herbert Smith Freehills, Hunt & Hunt, Crowe Howath, McCabes, CI Australia, Nakama, Canon Australia. 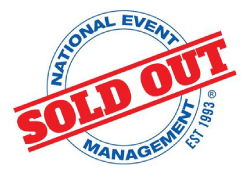 SoldOut Events capitalises on its formidable reputation and strong network-building abilities, while securing new business from winning tenders and awards also makes a significant contribution to the company’s growth. However, a serious lack of time is a perpetual challenge, Thomas admits. For more on SoldOut Events, visit soldout.com.au. Since 1977, Lee Kelly Commercial Investigations (Lee Kelly) has been an industry leader in the provision of private investigation services for insurers and law firms. The company is renowned for acting with discretion and diplomacy and for delivering outcomes. The company is occasionally invited to tender and wanted to be sure that when such opportunities arise, it presents itself in the best possible way. At the same time, the company wanted to streamline the whole tender response process so that writing tenders would take less time. 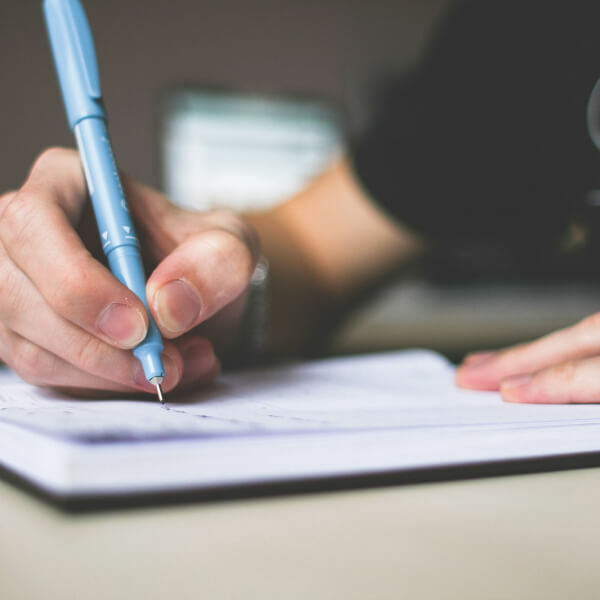 After being referred to Proof Communications via a mutual business contact, the company soon discovered that it could gain a significant competitive advantage by outsourcing its tender writing to a professional. Being able to convey the relevant information in a succinct and readable way is often the difference between success and going back to the drawing board. Proof Communications constructed the tenders in a language anyone can understand, using a narrative that was crisp and engaging. But what really made the difference was that Proof Communications made a concerted effort to understand the business and its processes. In this way, they were able to make suggestions to, and even challenge and critique, tender content with authority, making the tender responses more focused and meaningful. Indeed, this was the feedback from Lee Kelly Commercial Investigations’ clients, who appreciated the comprehensive delivery of their questions and requirements, and who were left in no doubt as to the full range of Lee Kelly’s capabilities. The quality of the tenders has made life easier for both Lee Kelly and its clients. Importantly, the tender writing process was smooth, friendly and professional. Above all, it was collaborative and clearly communicated at all times, which is why Lee Kelly’s use of Proof Communications has expanded with time. With one tender successful for NRMA, and every confidence in two others pending, Lee Kelly has every intention of using the professional, friendly and prompt services of Proof Communications again. Not only that, but the company is happy to recommend their tender writing services to anyone who is also looking to take that next step and make sure their business is in good hands (and pens!). “Our clients’ responses to our tenders have been that they are presented in a meaningful and practical way,” says Andrew. A fast-growing national provider of casual nursing and care staff, Unified Care needed an expert tender writer. With no one in her business to help her with tender submissions, Julie describes what a relief it was to have Proof support her through the whole process. Unified Care has chosen to work with Proof on several tenders because they see the value of an ongoing relationship. “Rosemary has gained such an in-depth knowledge of our business that she understands our points of difference and what we’re trying to achieve,” says Julie. As a relatively new entrant in Australia’s competitive audio equipment and installation industry, Eighth Day Sound recognises the impact a winning tender can have on its market position and business growth. Eighth Day Sound commenced operations in Australia with a small team in 2014. In its first year, growth was largely organic, based on word of mouth and the company’s solid international reputation earned through concert touring and festivals. In 2015, the opportunity arose to tender for a large ACT government contract. 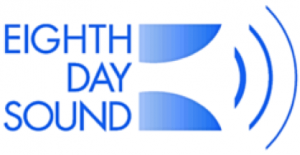 Winning this tender would not only benefit the company financially, but more importantly, would significantly boost Eighth Day Sound’s reputation by raising its profile in the market. Damo Pryer, Eighth Day Sound GM / Global Sales, quickly identified their main challenge: a lack of experience in tendering. This is where Proof Communications really added value. “Our industry is competitive, and it’s a relatively level playing field. When it comes to government tenders, the best tender wins the work. Proof Communications has since helped Eighth Day Sound win several government tenders for large and prestigious events and venues. Damo praises Proof Communications’ ability to answer the questions properly, with the right amount of detail, while maintaining the integrity of the Eighth Day Sound voice and brand. “They are great at articulating what I’m trying to stay, and structuring information in a way that gets our message across. All Day Delivery Service (ADDS) was already a well-established, medium-sized transport company with 17 years’ experience servicing the Sydney metro area under its belt when it was first asked to tender to retain existing business. ADDS’s client was after value for money and innovative solutions. “We wanted to put our best foot forward, but didn’t really know how, and had no experience of tendering,” she explained. Throughout the entire process, Daniela found Rosemary to be professional, knowledgeable, and prompt. With Proof Communications’ support, ADDS won the tender and retained a valued client. TRANSITION knew they were on to a good thing when their tender response was described as flawless by the evaluator. It was the first time Proof Communications had assisted this Sydney-based relocation consultancy with their tender writing. Since then, TRANSITION has called on Proof for help with several tender submissions. “The evaluator told us there was nothing to critique about the tender response, that it was perfect”, recalls Louise Hughes, Director, TRANSITION. As an experienced relocation planning specialist and leader in her industry, Louise has a strong sense of what her business has to offer. Proof Communications has an easy ability to take my ideas and move them up the next level, Louise says. I wanted to send a little note on behalf of our entire team and extend the most sincere and heartfelt THANK YOU for all of your hard work, tireless efforts and impressive results over the past few days creating, conceptualising, interpreting and wording up a powerful tender response in 5 days!! Obviously, we could not have done it without you both and we are both grateful and very excited for the opportunity of working with you closely more - such an incredibly talented and well versed team.